What happens if you don't get enough minerals and trace elements? Some minerals, such as phosphorus and magnesium, are so widely available in food that deficiencies are rare to nonexistent. No nutrition scientist has yet been able to identify a naturally occurring deficiency of sulfur, manganese, chromium, or molybdenum in human beings who follow a sensible diet. Most drinking water contains adequate fluoride, and Americans get so much copper (can it be from chocolate bars?) that deficiency is practically unheard of in the United States. 1 Calcium: Without enough calcium, a child's bones and teeth don't grow strong and straight, and an adult's bones lose minerals and weaken. Calcium is a team player. To protect against deficiency, you also need adequate amounts of vitamin D, the nutrient that allows you to absorb the calcium you get from food or supplements. Milk fortified with vitamin D has done much to eliminate rickets (see Chapter 10 on vitamins). 1 Iron: Iron deficiency anemia is not just an old advertising slogan. Lacking sufficient iron, your body can't make the hemoglobin it requires to carry energy-sustaining oxygen to every tissue. As a result, you're often tired and feel weak. Mild iron deficiency may also inhibit intellectual performance. In one Johns Hopkins study, high school girls scored higher verbal, memory, and learning test scores when they took supplements providing Recommended Dietary Amounts of iron. Check with your doctor before downing iron supplements or cereals fortified with 100 percent of your daily iron requirement, the Environmental Nutrition newsletter warns. Hemochromatosis, a common but often-undi-agnosed genetic defect affecting one in every 250 Americans, can lead to iron overload, an increased absorption of the mineral linked to arthritis, heart disease, and diabetes, as well as an increased risk of infectious diseases and cancer (viruses and cancer cells thrive in iron-rich blood). 1 Zinc: An adequate supply of zinc is vital for making testosterone and healthy sperm. Men who don't get enough zinc may be temporarily infertile. Zinc deprivation can make you lose your appetite and your ability to taste food. 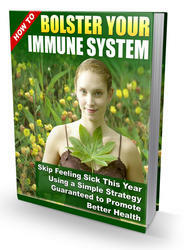 It may also weaken your immune system, increasing your risk of infections. Wounds heal more slowly when you don't get enough zinc. That includes the tissue damage caused by working out. In plain language: If you don't get the zinc you need, your charley horse may linger longer. And, yes, zinc may fight the symptoms of the common cold. To date, several studies have confirmed that sucking on lozenges containing one form of zinc (zinc gluconate) shortens a cold — by a day or two. Others show no differences. Your choice. These results are for adults, not children, and the zinc tablets are meant just for the several days of your cold. To find out more about zinc excess, see the section "Knowing how much is too much" later in this chapter. 1 Iodine: A moderate iodine deficiency leads to goiter (a swollen thyroid gland) and reduced production of thyroid hormones. A more severe deficiency early in life may cause a form of mental and physical retardation called cretinism. il Selenium: Not enough selenium in your diet? Watch out for muscle pain or weakness. To protect against selenium problems, make sure that you get plenty of vitamin E. Some animal studies show that a selenium deficiency responds to vitamin E supplements. And vice versa. Constipation, bloating, nausea, and intestinal gas are common side effects among healthy people taking supplements equal to 1,500 to 4,000 milligrams of calcium a day. Doses higher than 4,000 milligrams a day may be linked to kidney damage. Megadoses of calcium can bind with iron and zinc, making it harder for your body to absorb these two essential trace elements. i Phosphorus: Too much phosphorus can lower your body stores of calcium. i Magnesium: Megadoses of magnesium appear safe for healthy people, but if you have kidney disease, the magnesium overload can cause weak muscles, breathing difficulty, irregular heartbeat and/or cardiac arrest (your heart stops beating). I Iron: Overdosing on iron supplements can be deadly, especially for young children. The lethal dose for a young child may be as low as 3 grams (3,000 milligrams) elemental iron at one time. This is the amount in 60 tablets with 50 milligrams elemental iron each. For adults, the lethal dose is estimated to be 200 to 250 milligrams elemental iron per kilogram (2.2 pounds) of body weight. That's about 13,600 milligrams for a 150-pound person — the amount you'd get in 292 tablets with 50 milligrams elemental iron each. New FDA rules require individual blister packaging for supplements containing more than 30 milligrams iron to foil tiny fingers and prevent accidental overdoses. l Zinc: Moderately high doses of zinc (up to 25 milligrams a day) may slow your body's absorption of copper. Doses 27 to 37 times the RDA (11 mg/males; 8 mg/females) may interfere with your immune function and make you more susceptible to infection, the very thing that normal doses of zinc protect against. Gram doses (2,000 milligrams/2 grams) of zinc cause symptoms of zinc poisoning: vomiting, gastric upset, and irritation of the stomach lining. 1 Iodine: Overdoses of iodine cause exactly the same problems as iodine deficiency: goiter. How can that be? 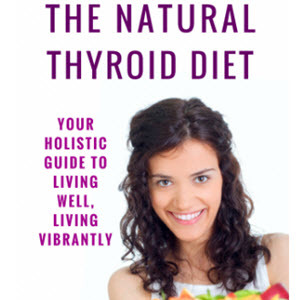 When you consume very large amounts of iodine, the mineral stimulates your thyroid gland, which swells in a furious attempt to step up its production of thyroid hormones. This reaction may occur among people who eat lots of dried seaweed for long periods of time. 1 Selenium: In China, nutrition researchers have linked doses as high as 5 milligrams of selenium a day (90 times the RDA) to thickened but fragile nails, hair loss, and perspiration with a garlicky odor. In the United States, a small group of people who had accidentally gotten a supplement that mistakenly contained 27.3 milligrams selenium (436 times the RDA) fell victim to selenium intoxication — fatigue, abdominal pain, nausea and diarrhea, and nerve damage. The longer they used the supplements, the worse their symptoms were. 1 Fluoride: Despite decades of argument, no scientific proof exists that the fluorides in drinking water increase the risk of cancer in human beings. But there's no question that large doses of fluoride — which you're unlikely to consume unless you drink well or groundwater in the western United States — causes fluorosis (brown patches on your teeth), brittle bones, fatigue, and muscle weakness. Over long periods of time, high doses of fluoride may also cause outcroppings (little bumps) of bone on the spine. Fluoride levels higher than 6 milligrams a day are considered hazardous. 1 Molybdenum: Doses of molybdenum two to seven times the Adequate Intake (AI) (45 micrograms) may increase the amount of copper you excrete in urine.